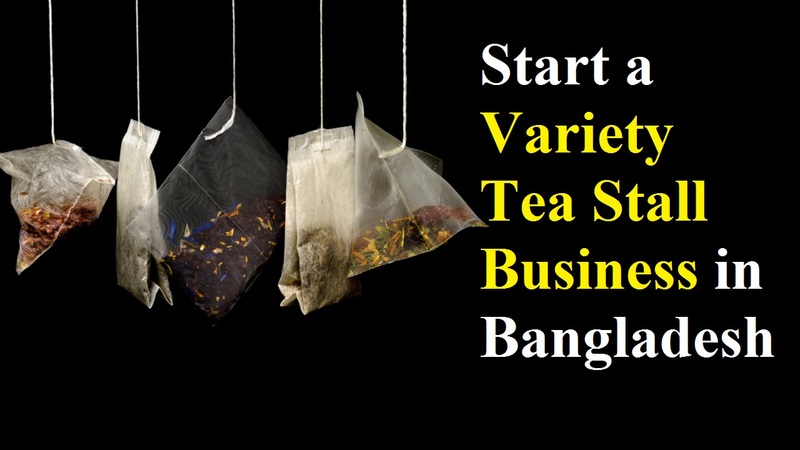 You’ll need more than an eclectic inventory to run a successful variety tea stall business in Bangladesh. Also, as they should return to purchase items on a regular basis, you need to build relationships with your customers. Although some large grocery shops sell the types of goods found in smaller shops like yours, you can still turn a profit by providing expert knowledge, quality customer service and by knowing your customers’ likes and dislikes. When you’re thinking to start tea selling business, you know how good a warm cup of tea can taste. And as you know many different blends and what tasty pastries they should accompany, you may pride yourself. Besides, it’s quickly growing in popularity in Bangladesh as tea is the highest and most popular beverage in the country. The reason is not only the popularity but the variety tea stall business is one of the most profitable businesses in Bangladesh. Also, this is the business that requires the lowest investment. That’s why you can turn your love of tea into a thriving tea cafe business with some ingenuity, hard work and a small capital. But, a perfect location, great products, and impeccable customer service will be the key to your success whether you decide to focus on the college crowd, business crowd or a combination of both. You likely to be well-suited for running a tea shop if you love tea and socializing with others. The business of tea making requires nothing but regular interaction with employees and customers along with lots of hands-on work, namely brewing tea. Simply follow some steps to start the business and get a great success. Day-to-day activities revolve around serving tea to customers while starting a variety of tea stall business. Unless you have employees, you should be prepared to work when their shop is open. You’ll get all the essential information to help you decide if this business is a good match for you from this guide. Just you should be determined, hardworking and confidence in order to be a successful tea seller in Bangladesh. But, you would be confused thinking how to start it. So, we’re here with some important steps that will help you start your business. Well, let’s know what the steps are needed to start tea selling business. If you choose a storefront with windows so people walking by the customers will appreciate the atmosphere your tea cafe provides. For example, with plenty of parking along with a busy street is ideal for your variety of tea stall business. As it will be difficult to overcome the poor reputation the previous occupants may have developed, avoid purchasing an existing tea cafe that is going out of business. In this case, you should either choose an empty building or a going-out-of-business location that is not a tea cafe. And while choosing a location for your business, preferably one that does not have competition from a major tea business. So, it could be downtown locations to find a high traffic area and visit local shopping malls. As an ambiance is everything in a variety tea stall business, décor your shop with a theme or eclectic pattern and installs couches, chairs, and stools that encourage relaxation and conversation. It works better than bright overhead lighting when set up the individually placed lamps. Also, a modern, quiet, theme works best so customers can meet at your tea house to conduct job interviews and business meetings for plans to cater to the business crowd. On the other hand, consider providing upbeat music and a fun, playful theme for the college crowd. These include linens, teacups, and silverware and pastry dishes are to purchase or rent for the variety tea stall business. If space does not already have one then you may also need to purchase a retail counter. For some high-end tea shops, you need to purchase cash registers, a credit card terminal and retail software to track sales and inventory. There are some more items to purchase like comfortable chairs for customers, CD player, rugs and other decorative elements. So, when people are in search of a particular spice or favorite tea, these will help you to make an inviting atmosphere. And consider purchasing tea, coffee, and species either from wholesale or local companies. In order to attract customers, purchase a variety of familiar types of products. And before running out of products, especially popular products, place new orders. The products they offer and how they utilize their spaces gives you the chance to do it better to know how they operate. You can build your business with high standards and excellent customer service while keeping careful records of competitor’s prices, teas and any issues you observe. So, while targeting your niche customer base use what you learn from the competition. You can tailor your business to appeal to the same crowd, simply better if the nearby competition is doing a poor job. However, you can target business people with your ambiance, tea house theme, and tea choices when there is significant competition for one market, such as college kids.